As much as we enjoy a good ol’ fashioned cup of coffee or a traditional double espresso, warm summer days require caffeination of a different sort. Fortunately, there’s a summer-appropriate alternative that always seems to hit the spot: the humble iced coffee. A good iced coffee will be refreshing, thirst-quenching and packed with flavor. We’re not talking just any old iced coffee here. Of the multitude of preparation methods available there is one technique which puts all others to shame: the cold brew. Here at Escogelato we employ cold brewing exclusively. Not only does it produce an incredibly pure cup, Cold Brew coffee is astonishingly simple and easy to make. In fact, we’ll show you how to do it yourself! Cold brew, sometimes called “cold-press” is a method of brewing coffee. Unlike traditional brewing methods, no heat is involved and the extraction process instead relies on time. To make cold brew coffee, freshly roasted beans are ground coarsely, mixed with cool, filtered water, and allowed to “brew” for 10-24 hours, typically refrigerated. The result is a strong concentrate which is diluted with water and then served over ice. 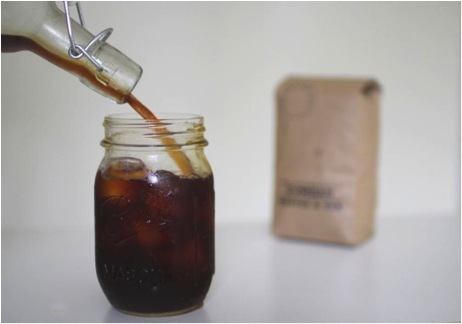 At once an art and a science, the cold brew coffee method is simple, efficient and delicious. The recipe calls only for coffee, water and time, and couldn’t be simpler. There’s no need to invest in any fancy brewing equipment. 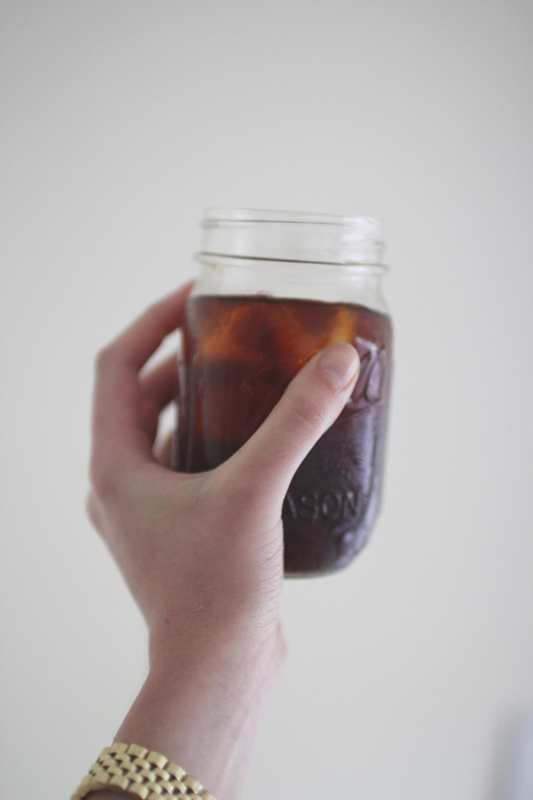 But what really makes cold brew a winner is the end result. Smooth, low-acidity, bright and full-bodied, this coffee will win over everybody, from the coffee aficionado, to those who aren’t so excited about iced coffee. Cold brew coffee is characterized by a pleasant, mild sweetness not found in other iced or hot coffees, and many people find adding cream or sugar unnecessary, opting instead to drink it black. The cold brew method produces a smooth, low-acid drink. The lack of heat, combined with a slow, lengthy extraction period allows the beans to retain their sweet, flavorful oils. It’s the same reason that light roasted coffee beans have a fruitier, cleaner and more pronounced taste: less heat = more flavor. Depending on the origin and roast of your beans, you’ll be able to detect hints of chocolate, floral or fruity flavors which you might miss in hot brewed coffee. The best things in life are meant to be shared together, so we’re sharing our method with you. 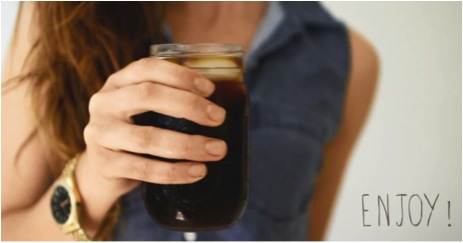 Give cold brewing a try, but be warned: it seems to have some kind of addictive property, we can’t seem to get enough! This recipe produces a fairly strong concentrate, which may be diluted to taste. 1. 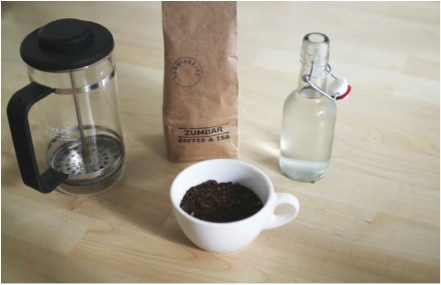 Combine coffee grounds and water in your french press or jar. Stir well to saturate the grounds. 2. Cover and steep at room temperature for at least 8-20 hours (we usually brew overnight.) Any shorter and the coffee will be weak; any longer could over-extract the coffee, giving it a bitter taste. 3. Once the coffee is finished steeping, press or strain it and discard or compost the grounds. 4. Your concentrate is ready to use. Dilute to taste and serve over ice. Enjoy! *Any beans will work, but we especially love the locally-roasted Zumbar Hummingbird blend. In fact, we like it so much that we’ve made it available for you to purchase and enjoy at home. Pick up a bag next time you’re in the shop!